One of the less-well-reported aspects of North Carolina’s notorious HB2 law as it originally read was a provision that removed state protections from on-the-job discrimination (a protection later added back in, but in a weaker form). As we learned in the days following the law’s passage, 48 other states take the stand that it is immoral and a bad business practice to discriminate against an employee solely based on the employee’s race, gender, sexuality, ethnicity, religion, age or disability status. These states recognize that while there are federal laws providing employment protections in this area, state laws reinforce them and make it easier for employees facing such discrimination to take legal action. Sadly, with the passage of HB2, North Carolina state leaders confirmed that fairness in employment practices is not something they value. We could, however, have seen this coming. Even before HB2, there was another group of employees that state leaders seemed little concerned with protecting – pregnant workers. North Carolina remains one of only four states that provide no additional employment protections for pregnant workers. 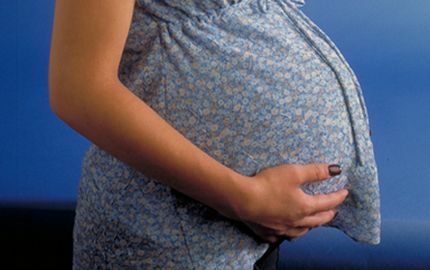 There is a federal law protecting pregnant workers, the Pregnancy Discrimination Act of 1978, and there are also some protections under the Americans with Disabilities Act, but some employers and courts interpret these acts very narrowly. The recent case of alleged pregnancy discrimination at the giant delivery company UPS shows just how complex the reading of these laws can be. When this reality is combined with the fact that, a) the United States is one of the few advanced countries that does not guarantee maternity leave to new mothers, and b) almost half of the private sector workers in North Carolina have no access to paid sick or family leave, it becomes clear just how precarious the situation is for pregnant workers in our state – particularly for low-wage pregnant workers. Our current state leadership has regularly attempted to justify policies like the discriminatory HB2 or restrictions on abortion and family planning as efforts to protect the “health and safety of women and families.” Such concerns seem to disappear, however, when it comes to the economic security of women and families. Despite the fact that more than 40% of North Carolina working women provide the main source of income for their families and that women are still the primary caretakers for many families as well, lawmakers continue to ignore the fact that these dual roles demand more support from society, not policies that reflect some people’s old-fashioned and stereotypical beliefs. Pregnancy, while a time of joy and excitement for many women, can also be profoundly difficult for a lot of women, no matter how excited they are. Pregnancy often impacts a woman’s health and can limit her ability to participate in certain activities. Much of that may only be temporary, and certainly is not a reflection on an employee’s ability to do her job. But many women see their possibilities for job advancement decrease when they get pregnant as they get pushed to the sidelines at work. Many may even wonder if they will have a job to come back to after they give birth. This is one of the reasons so many mothers (and fathers) go back to work so quickly after the birth of a new child, turning what should be a time of joy into a time of stress and financial anxiety. And these mothers are often going back despite having just been through a difficult labor, major surgery (caesarean section) or an experience of post-partum depression. All while juggling the caretaking demands for a new person in their life who may not share their sleep cycle. Despite what some may wish to believe, the solution to this problem has never been to reinforce rigid gender roles in which the men support the family at paid work while the women stay home to raise the children, in a completely self-contained unit. First of all, the women doing the work of raising children need our support as a society as well. Secondly, this model of family life never existed for many families in America – women of color, poor women, single women, rural women and immigrant women have always been in our workforce, supporting themselves and their families, and providing much of the strength of our economic engines. Let’s hope that the bright spotlight now bearing down on HB2 helps to illuminate these shortcomings and that, in 2017, lawmakers finally get serious about marrying words with deeds when it comes to protecting the wellbeing of North Carolina women and their families.